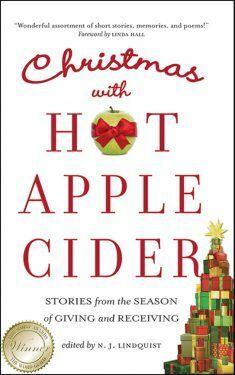 Christmas with Hot Apple Cider: Stories from the Season of Giving and Receiving is an eclectic collection of true stories, short fiction, and poetry. With 55 featured authors and poets, the anthology provides a diverse and multidimensional look at the traditions, teachings, and values surrounding the birth of Jesus. Be inspired to share your own stories with the world as you discover a fresh appreciation of the holiday season. This anthology boasts inspirational stories you and your family will want to read again and again. If you like the Chicken Soup for the Soul books, strong Christian themes, and stories that make you laugh and cry, then you’ll love this must-have stocking stuffer.